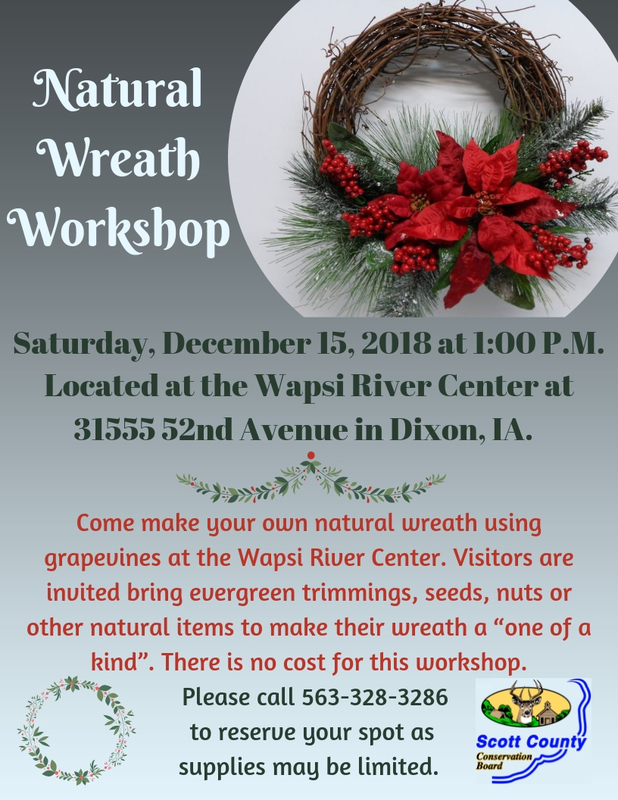 Join Naturalist, Michael J. Granger, for a lesson on wreath making. Participants will be able to fashion a wreath out of grapevine and then decorate it with natural items. Visitors may bring evergreen tree trimmings, seeds, nuts or other natural items to make their wreath a “one of a kind”. Please call 563-328-3286 to pre-register.